From the viewpoint of the Earth the Sun has a steady and regular motion that maps the seasons. In fact it is the rotation of the Earth around the Sun that produces this motion, but I will use the Earth based perspective. When the Sun is on the Equator it is at 00N00 declination at at 0 Aries. When the Sun is moving into the Southern Hemisphere at 00S00 declination on the Equator, this point is also 0 Libra. 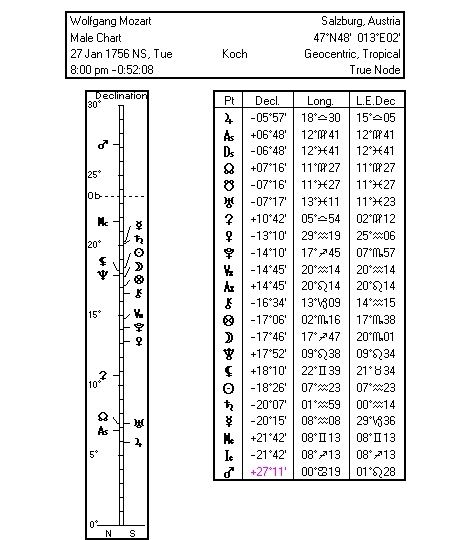 As the Sun moves into the Southern Hemisphere it moves steadily to 23S26’22” and this point is when it is also at 0 Capricorn – high summer in our hemisphere and deep winter in the Northern Hemisphere. This is the ‘boundary’ of the Sun in the Southern Hemisphere, it is the highest declination it reaches and marks the boundary of the Tropic of Capricorn. As declination in the skies is the same as latitude on Earth, this marks the most southerly latitude at which the sun can appear directly overhead at noon. The Sun then moves back towards the equator and reaches 0 declination and 0 Aries at the equinox (equal day and night) on 21st March. As the Sun is leaving our Hemisphere, this marks Southern Hemisphere Autumn and as the Sun is moving into the Northern Hemisphere latitudes, it marks their Spring. The Sun steadily moves towards 23N26’22”, which is also when it is at 0 Cancer, high summer in the Northern Hemisphere and deep winter in the Southern. This marks the boundary of the Tropic of Cancer. It is the most Northerly latitude in which the Sun can appear directly overhead at noon. 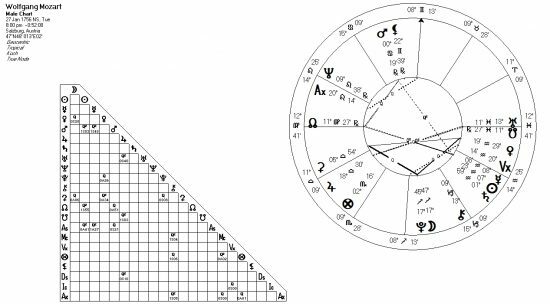 From this you get the Southern Hemisphere signs of Libra, Scorpio, Sagittarius, Capricorn, Aquarius and Pisces as the Sun is in these Zodiac signs when in Southern Declination. The Northern Hemisphere signs are Aries, Taurus, Gemini, Cancer, Leo and Virgo as the Sun is in these signs when in Northern Declination. Any planet whose declination moves beyond this Solar ‘boundary’ is called ‘out of bounds’. Because the Moon and inner planets achieve higher declinations, they can be ‘out of bounds’ quite often. The Moon can reach a declination of almost 29° every 18.6 years when the North Node is near 0° Aries. Mercury and Mars achieve a declination of approximately 27° at times, in 1907 Mars got out to 28S54. On rare occasions, Venus will reach 28°. Uranus and Pluto go out-of-bounds less frequently and stay there for longer periods. Saturn and Neptune have nearly the same declination as the Sun while Jupiter only goes a few minutes beyond 23°27′ and so is rarely ‘out of bounds’. Most Out of Bounds planets are in Gemini or Cancer (Northern declination) or Sagittarius and Capricorn (Southern declination). In my opinion planets that are out of bounds describe the ability to function outside of the box. These positions often describe those with an intense need for personal freedom; lateral thinkers; original artists; people who are not bound by normal conventions and the rules of society; and sometimes people who are just lawless. Therefore many original and unusual people have out of bounds planets. For example Mozart had an out of bounds Mars at 27N11 and also at 0 Cancer. This may have described his genius, particularly as Mars was also involved in a quintile pattern (creativity). Many modern day astrologers have ‘out of bounds’ planets as astrology is presently not part of mainstream thought. This is particularly the case for astrologers who can be termed ‘original thinkers’ and offer new ideas or new information in our area.